One of the key issues in deciding whether or not to file a lawsuit is determining if there are any funds available to pay for a judgment award. Are there enough non-exempt assets owned by the defendant(s) to warrant the expense in time, money, and emotion that a lawsuit involves? Is there an insurance policy that will cover the jury’s decision or the settlement amount? How will legal expenses be covered during the litigation? 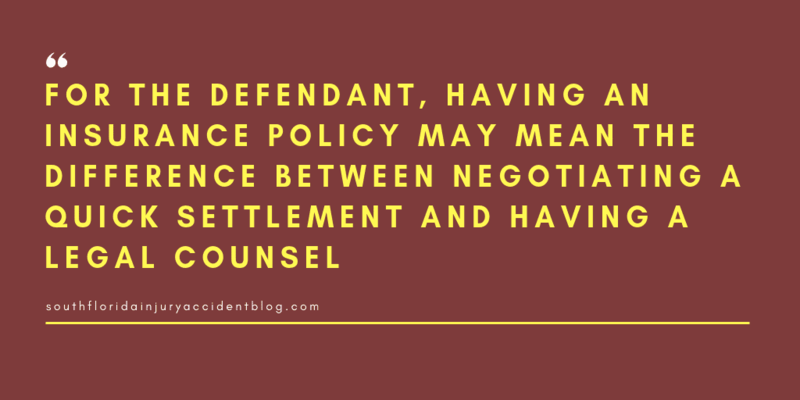 For the defendant, having an insurance policy may mean the difference between negotiating a quick settlement and having the ability to get (and pay for) legal counsel to defend against a libel or slander claim. Many bloggers, for example, may not have much ability to defend themselves from a financial standpoint unless they have an insurance policy that will cover the risk of a defamation claim. Most people carry automobile insurance and have homeowners’ coverage; however, these policies cover cars and homes — they don’t cover other kinds of liability. Claims of libel and slander (defamation) will need something called “excess liability” coverage before an insurance carrier will take on the burden of covering things like legal expenses in defending against these kinds of allegations. You can add “excess liability” to an existing policy — ask your insurance agent for details and expect to pay a few bucks more each year for this protection. As social media claims of libel or slander are being filed more and more often in courthouses around the country, independent professional bloggers and others operating certain kinds of web sites may be getting these kinds of excess liability policies. For the professional news media, there has been a more forceful and proactive approach to the possibility of being sued for libel or slander: as early as 2011, journalists were becoming a target market for insurance companies offering special, new coverage to meet this risk. One example: Reporters Committee for Freedom of the Press (RCFP) wrote about a new venture in 2011 where a Kansas City insurance carrier named Media Professional Insurance began offering bloggers with the Media Bloggers Association their own libel insurance coverage, called a “BlogInsure” policy. Bottom line: one of the key issues in any libel or slander lawsuit, from a practical perspective on the part of both the plaintiff and the defendant, is whether or not there is insurance coverage applicable to the defamation claim that is being asserted. More and more often as social media progresses, that answer appears to be Yes – insurance coverage will apply in the situation. A good piece of advice if you believe you have a defamation of character claim, is to at least speak with an experienced personal injury lawyer before you file a claim to learn about some of the issues that can arise with these claims, including the type of evidence needed to prove a claim and the type and amount of damages you can recover. Most personal injury lawyers, like Alan Sackrin, will offer a free initial consultation (over the phone or in person) to answer your questions.